I love The Strokes, I don’t know many who as teenagers in the noughties didn’t. Of course Angles, the group’s fourth album, was going to be overhyped. In this age of music mass-production and album renewal cycles that seem to shrink, any album that had had a long time to develop, let alone one by The Strokes, was always going to have some kind of importance thrusted upon it. I waited a while before formulating a verdict. I’ve listened to the album repeatedly. Here it is. Opening with “Machu Picchu”, the album is thrown headlong into a synthed-out interpretation of their New York sound. An irresistible guitar part underpins the whole song, with a calypso-reminiscent counterbalance that adds up to a special opening. Following on is the prior-released “Under Cover of Darkness” and it could be said this is the only “Strokes Song” on the album, it had too many of the hallmarks of prior work to not be compared to classic singles like “Last Nite”. I think it has a quality that makes it placeable amongst any part of the Strokes’ discography and that’s no bad feat. Similarly, later song “Taken For A Fool” has enjoyable, prior-Strokes Songs qualities, but unlike “Darkness” is, so far, quite forgettable. “Two Kinds of Happiness” has an opening that reminds me of The Cure, before it evolves into something a little more frantic, something that comes off as effortlessly rapid and urgent. “You’re So Right” is an instantly sinister affair, it’s dark undertone and zombie-like vocals from Casablancas made me dislike this at first, but it’s proving itself as a bit of a grower, though certainly not the band’s best moment. “Games” begins with a synth-fueled vibe and vocals of dissatisfaction with the repeated motif of “Living in an empty room” particularly striking. The lyrics could be interpreted as a comment on the void between the band members, possibly a lack of emotion and feelings for each other or the antagonistic relationship that they have all admitted to. “Call Me Back” continues the sad tone brought up in “Games” and goes on to fully exploit it. It seems full of sentiment, shame I just don’t agree with the chorus. It’s counterbalanced by the next track, “Gratisfaction”, that despite a quite ridiculous name is really good. There’s some slight reminiscence of the Beatles’ “Revolution” in the choric cheer, but otherwise a nice and interesting spin on their older sound. “Metabolism” reminds me of the darker moments from First Impressions of Earth with songs like “Jukebox” yet it seems to be restrained, tamed in a way and although I like this song, I don’t think it suitably sets up the closing track, “Life Is Simple In The Moonlight”. It’s a relaxed track, of a calmed and soothing disposition in comparison to some of the songs on Angles, that ends the album with such a positive spin that everything just seems fine and dandy. 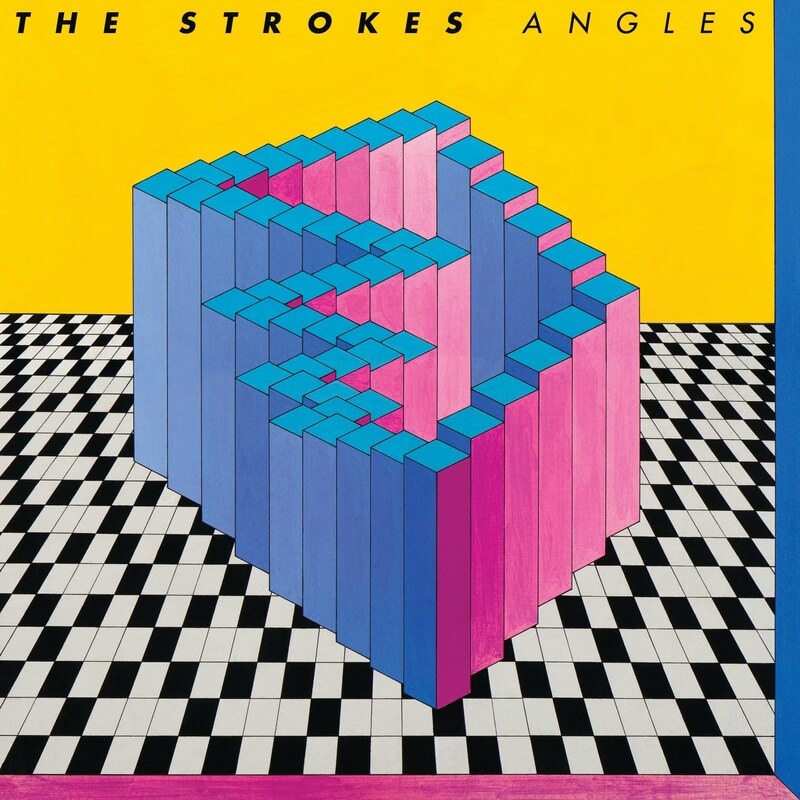 To conclude, this fourth album by The Strokes is actually highly enjoyable, there’s a couple of dud songs, but nothing that can’t be overlooked/deleted. I mean, did people really expect something of messianic proportions? I think that the hype clouded over and judged prematurely on something that is actually quite good. Go listen to the album right now, here and then buy it, here.